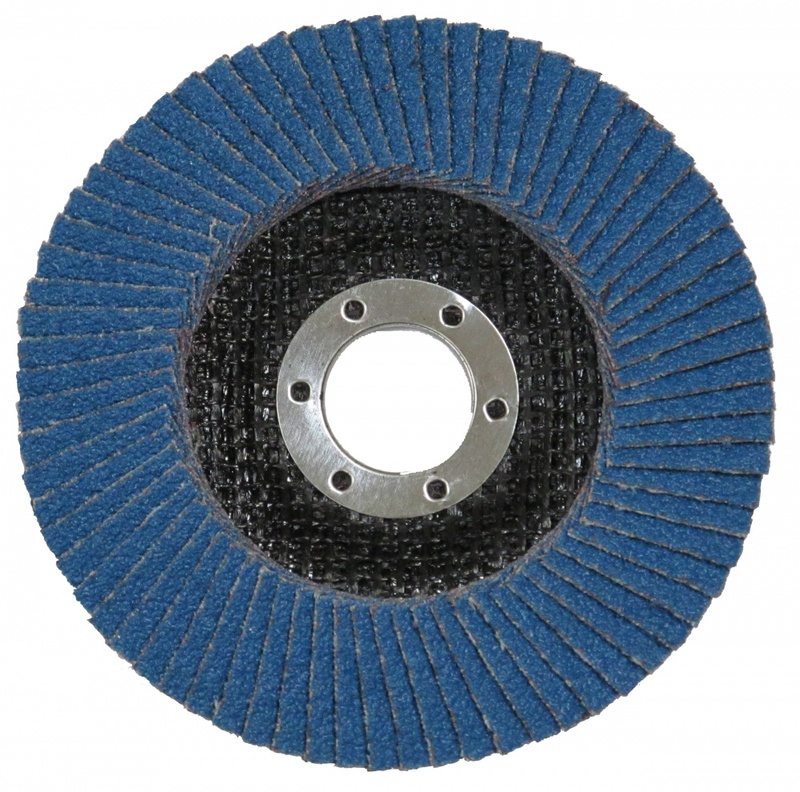 Applications: These zirconium flap discs are stocked for the popular 115mm angle grinders. They are ideal for work on both stainless and mild steel. Use grade 40 for rapid stock removal, 60 for more controlled grinding and grade 80 for edge de-burring and weld blending. 115mm x 22.2mm for popular 4.5in angle grinders. Zirconium (zircoinia oxide) abrasive flaps suitable for both mild and stainless steels. Generous flap count for long life. Available in 40 (coarse), 60 and 80 (fine) grades. Slightly conical profile (Type 29) for easy surface contact. Shrink wrapped and packed in cartons of 10. Also Available: We stock a wider range of sizes (100mm, 115mm, 125mm and 180mm) in grades 40, 60, 80 and 120 in our Premium Flap Disc range. Stock: Sorry, we were caught out by demand. Grades 40 and 80 are currently out of stock. These are available in the Premium range.